We are a leading Manufacturer of push button, push button mushroom and power switchgear from Delhi, India. We are one of the noted traders involved in supplying Push Buttons that have an industry specific design and are widely demanded for their longer service life. These thoroughly adhere to the global standards and are appreciated for their greater functional reliability. Clients can buy these heat and temperature resistant buttons from us at industry leading prices. We are a well recognized entity, widely known for our excellent quality Push Button Mushroom. These products are well tested on quality provisions, in order to provide flawless range. Under the supervision of our skilled personnel, our offered products are manufactured by advanced technology & finest quality of material. Also, customers can avail these products from us in various specifications according to their choices. 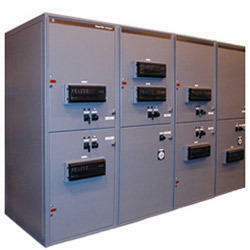 We are remarkable entity, engaged in offering high quality Power Switchgear. These products are developed by our experts using quality material and latest technology as per the market standards. The offered products are provided in number of specifications to choose from. We provide these products in diverse packaging at industry leading prices. Looking for Power Switchgear ?